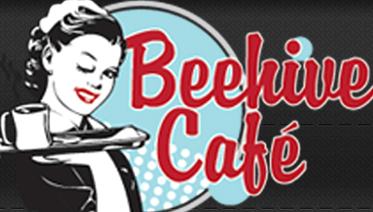 Beehive Café, located in Mylan Park in Morgantown, provides a 50’s diner-style boxed lunch. Their sandwiches and wraps are freshly prepared, with a crisp deli pickle, kettle-cooked gourmet chips and an oven-fresh cookie served on the side. Plus, each box includes a surprise, just like in a box of Cracker Jacks. From Downtown to Cheat Lake and all around the greater Morgantown area, Beehive Cafe is ready to cater your next business luncheon or event with delicious box lunches. They also offer delivery. Beehive Café delivers lunch in the Greater Morgantown area, with a $3 delivery charge for orders under $50. For large orders, your order must be received one business day before desired delivery. Please allow a 30 minute window. Orders: call Monday through Friday at 304-983-2665, or if you prefer, click here to print a menu form that you can fax to 304-983-2848.